My Thoughts: What a performance! Between the exquisite story and the dynamic way delivered by Narrator Daniel Dorse, I am speechless! (but not so much I can’t write this review!) After the horrific event close to the end of the book, you’ll regain your equilibrium with humor and another of Le Veque’s epic happy endings. First of all, Le Veque’s Medieval romances capture history as well as the emotions of mankind – what tie us together and what pull us apart. The situation is this story is extreme for the heroine, Lady Emberley, with four children she loves dearly married to a crazed, on-the-verge lunatic husband. Marriage in those days didn’t leave much of a life for a woman. Equally, if not married, she may become a burdensome spinster aunt and a ‘nanny’ for life. Then again, she may end in a convent. Such poor choices which make these stories even more emotional for present-day readers. Our hero, Gart Forbes, is a knight of chivalrous and honor intent, who falls in love with a married woman, the Lady Emberly. How can love survive in this environment? How can Gart tolerate seeing Lady Emberly brutalized by her husband? And what of his own code and that of the law? The husband, Julian de Moyon, Baron Buckland, has his own agenda. He’s been bedding the queen for a year, but times are changing, and finds himself loosing ground with her. He intends to make the queen jealous by bringing his wife and children to London. Nothing quite works the way he wants. The narrator’s voice totally fascinated me. I put the speed of the audio on 1.25X; otherwise it was too slow. His depiction of Julian held the overpowering moments of this tragic story. I do believe Dorse must know someone as demented as Julian, for he is totally convincing! If you haven’t read any of Le Veque, you are in for such a treat. Her stories are full of grit, brutality, honor, greed and passion! Archangel, which tells the story of Gabriel and Emberly, is no exception. 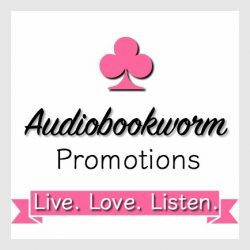 This entry was posted in Action/Adventure, Audiobook, Audiobook Review, Book Reviews, Historical Romance, Medieval Romance and tagged Archangel, Audiobook Review, Daniel Dorse, Kathryn Le Veque, The de Lohr Dynasty. Bookmark the permalink.